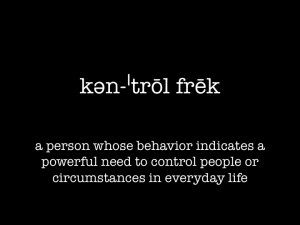 I tend to be a control freak. I don’t mean to be. It just happens. I want things my way and in my timing and I get frustrated when that doesn’t happen. Just ask my husband. Yet, one of the basic steps to wholeness, as outlined in my newest book, When a Woman Overcomes Life’s Hurts, is relinquishing our “rights” and admitting we are not in control — God is. When we believe we have a right to be happy, a right to a pain-free life, a right to have answers to all of our questions, we are believing a lie that results in disappointment and disillusionment. Sometime it even results in bitterness. Practically speaking, even if we were to insist upon our “rights” we can’t control other people’s actions or life’s circumstances in order to ensure that we get what we have a “right” to. And yet, I found healing the day I made a list of all the things I felt I had a “right” to in my life and then surrendered them to God, acknowledging His control over my life. Think about it, would you really want to live in a world in which YOU were God? I mess up enough on my own…I wouldn’t want to be responsible for everyone else. I love the fact that as all-knowing and all-powerful as God is, He is still intimately acquainted with my life and desires only good for me (Jeremiah 29:11). When I keep that in mind, I can rest assured that His plan for my life is far better than my plan. True surrender to God — and true wholeness — means recognizing your life is not your own; you belong to a loving Master who has your best at heart. 1) Make a list of all you have felt you have a “right” to in your life. 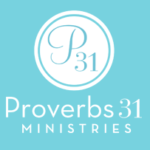 2) Next, prayerfully tell God about each of these items and surrender them to His will. 3) Now, experience the peace that inevitably follows. on Our Lives are Not Our Own: Debunking the Myth that We’re in Control. I totally agree. But although I don’t want to be in control, I sure do want my circumstances to change!! When will I walk in the knowledge that IS wanting to be in control? Still searching for that peace that passes understanding as I turn over my disappointments to the Lord. I LOVE your books, your blog and your support! Thank you, Kathy, for your kind words. Blesings as you continue to wait on Him.